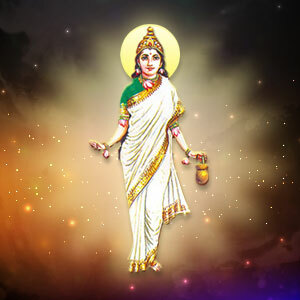 The Brahmacharini puja is performed for attaining firm determination and inner strength. The devotees drink holy water through palms and then put a tilak on the forehead. Then, they offer camphor mixed water, flowers, honey, ghee, cow milk, Panchamrit, sugar and clothes or saree to Goddess Brahmacharini and worship them.